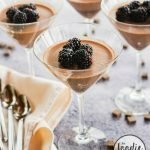 Dark Chocolate Panna Cotta with Fresh Blackberries makes the perfect Italian style delight to serve at your dinner party. And I promise your guests will rave about it. It’s a creamy and silky dessert much like custard but more decadent. 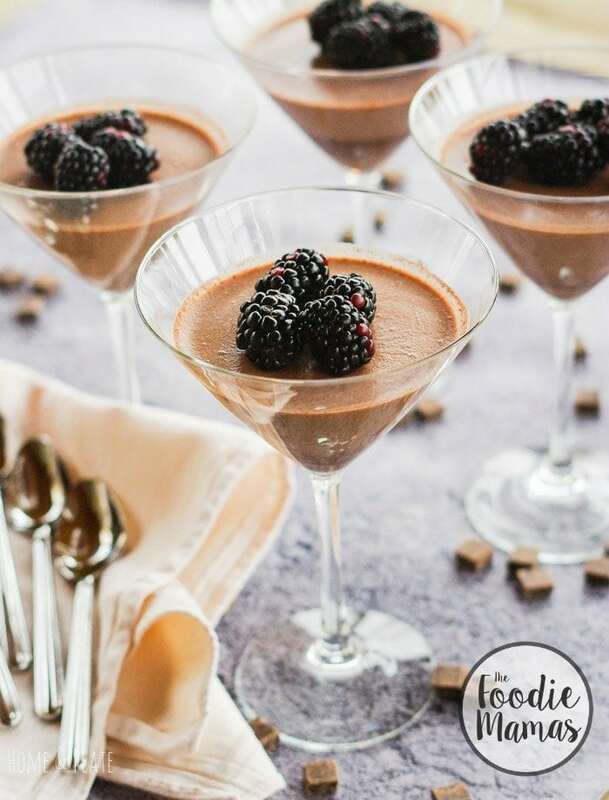 Much like a pudding or mousse, this eggless dessert is made with gelatin, sweetened cream and dark chocolate. One bite of this pillowy sweet Dark Chocolate Panna Cotta and you’ll think you’ve died and gone to heaven. 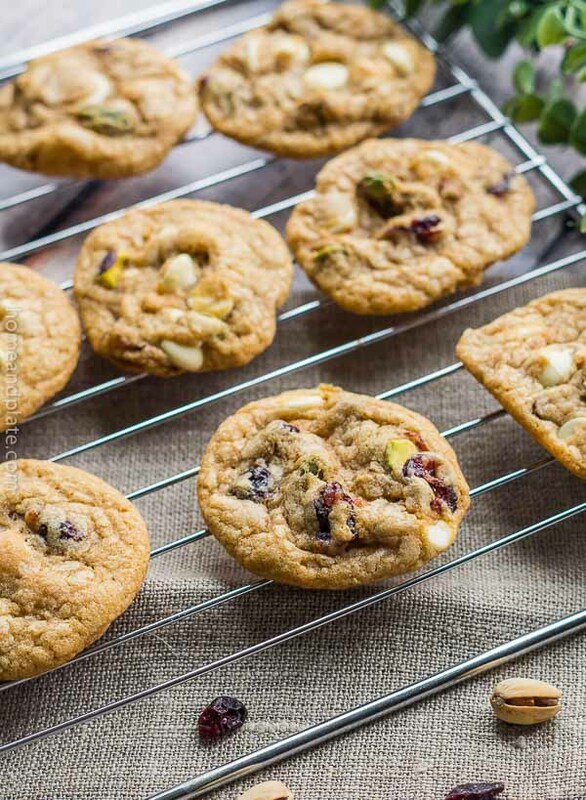 It’s simple to make, involves just a few ingredients and can be made in advance. Topped with a few fresh berries and you have a decadent dessert. The first time I had panna cotta was at a friend’s house. I was in love with this creamy dessert! Rich and creamy, this chilled molded dessert tastes delicious with fresh berries, citrus, or a fruit or chocolate sauce. I’ve even been known to add a little whipped cream. Have you ever tried panna cotta? Will you give it a try? For 1/4 cup cold milk into a small bowl and sprinkle the gelatin over the milk. Stir to incorporate then let sit for five minutes. The mixture will be lumpy. Add the cream, chocolate and sugar to a small pot and cook over medium low heat until the sugar has dissolved and the chocolate has melted. Remove the pot from the heating elements and stir in the remaining milk. Using a mesh strainer, pour the mixture into a serving pitcher and discard any chocolate solids from the strainer. Add in the gelatin and whisk to combine. Next, pour an even amount into stemmed glasses or ramekins. Chill the panna cotta for one full day until firm. Serve with fresh berries. Thanks Sherri…it adds just the right flavor to the chocolate. Oh heavens this sounds gorgeous! Just my kind of dessert! Gorgeous! 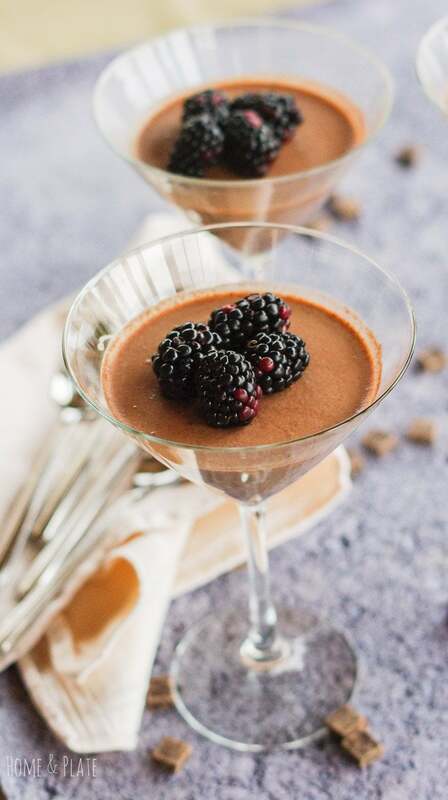 I love blackberries and chocolate together and you’ve made these panna cottas look like velvety yum. I have pinned this recipe. I have yet to make panna cotta and this looks like a great place to start. Thanks. Thanks Gloria…I know you will love it. It’s rich and creamy and delicious. I love panna cotta, but have never had a chocolate version. This would be terrific for Valentine’s Day! Yum! I love the chocolate version particularly dark chocolate. Enjoy! You had me at dark chocolate and blackberries! What a delectable combination! 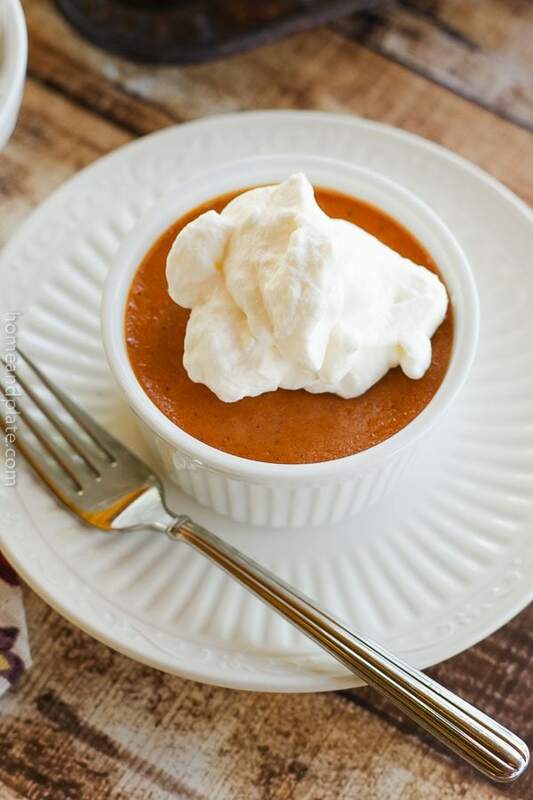 Tara…it’s such an easy dessert to make and just is so yummy. You’ll love it. I’m so glad to be apart of this #FoodieMamas group, everyone has such beautiful recipes, so much talent here, I really have to try making panna cotta, I’ve never tried it, I am so curious now after seeing your recipe, it looks delicious! Thanks Sara…we are having fun with this group. I love trying new dishes and recipes I haven’t had before. Trust me you’ll love the panna cotta. It’s creamy and delish! At what point do you add the gelatin to the chocolate mixture? Hi Nicole…I’ve updated the recipe to make it clear. You can add in the gelatin anytime after the cream, chocolate and sugar has come off the stove. Sometimes we don’t strain the chocolate because we like the chocolate solids in the bottom of the glasses. But if you strain the chocolate, then add the gelatin after. Hope that helps. I also hope you enjoy it.